For my 1st Business Spotlight I give you SimpleBaby.com, the new online business of one of my previous clients, Shannon Blackwell. First of all, where can we find you and how can we contact you? My husband and I have two kids, a 13 year old boy, Todd, and an infant girl named Coco. We also have a German shepherd dog. My husband rocks! He will always take on whatever kid I need him to, whatever computer problem has popped up, whatever dog issue I have and somehow he makes sure the bills are paid and still manages to look gorgeous! I struggled 13 years ago to find products that were complementary to my attachment parenting choices with my first child, then over a decade later, I was overwhelmed with the choices available to me as an AP parent with number 2. In addition to being really picky about the things I use for my baby, I am also ridiculously frugal. The highlight of my pregnancy was finding out the gender and then spending the next 16 weekends at garage sales finding total steals on clothes, but you very seldom find cloth diapers or wood and organic toys at a garage sale… For those things, I have had to shop creatively to have the things I want for Coco. I have tried tons of different cloth diapers on the market. I would try them a while, then resell them and try something new. I carry the ones that I wouldn’t dare think of selling unless we have outgrown them. I am slowly adding the lines that I love, with the understanding and honest perspective that finding what is perfect for YOUR baby is the top priority of any new mommy. I am constantly looking for specialty items for baby led weaning (no purees, no spoons), elimination communication (infant potty training), co-sleeping and baby jewelry. These things aren’t widespread enough that you can run down to your local big box chain and find suitable goodies. Simple Baby is also carrying some lines that are from work at home moms and I am always excited about that. It is a really great “find” when you can work with a WAHM who consistently produces an amazing product at a great price. They are putting in an enormous amount of effort to find things that are adorable, cost effective, and often very, very green in their impact. I have worked in a cubicle with six bosses above me – I would rather spend money with a mommy who is working at a kitchen table, who’s boss is playing on the floor beside her. We are also looking forward to adding a Baby Shower package in the first half of 2010. Just like you see all these celebrities who have their showers sponsored, Simple Baby will have a sponsor option, including a registry, a party pack with games and door prizes, and of course, a discount on hostess gifts. For our Dallas/ Fort Worth area mommies, we’ll work in conjunction with Coco’s Tea Room in Colleyville (yes, THAT Coco!) and offer a more comprehensive planning package. It’s a little more than your average baby store in that department, but your baby shower is a huge celebration and it should be treated that way. What are your long term goals/ambitions for your business? While I want to make a million bucks just as much as the next guy, my priority is to have fun, functional products that are the type of things my friends and I want to use. The whole adventure will stop being much fun if people don’t love what they get. I would love to grow at a manageable pace, if for no other reason than so I can add all of the product lines that I love and pay it forward to the WAHMs I love. 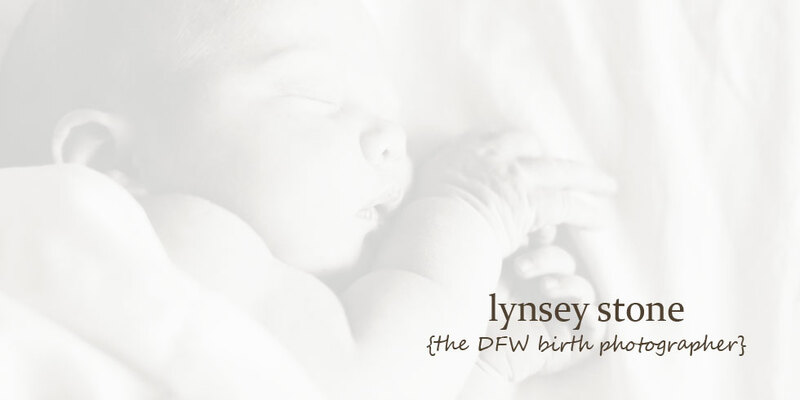 Do you have any specials for DFW Birth Photographer blog readers? Thanks for answering my questions Shannon! If you or anyone you know has a business geared towards pregnancy, birth or babies and would be interested in being featured sometime soon please feel free to contact me!